Over the years, many authentication systems and powerful access control technologies have been developed, but none have been foolproof. It involves associating person requesting access with an online imprint already created and matching them for referencing. Till date, the most popular means of authentic is still the password based which are vulnerable to theft, guessing, and sharing. Biometric identification is rapidly becoming a sustainable solution and depends on giving a value to biological features (e.g., a fingerprint or iris pattern), and ideally, biometrics are used to differentiate based on the original physical features like fingerprints or iris. We are one of the leading Indian manufacturers of Biometric Attendance Machines and systems, Biometric Authentication, Access Control system and Biometric Devices. Biometric systems offer several advantages over traditional authentication methods. It is impossible to cheat Biometric information by surveillance – direct or indirect. It is nearly impossible to recreate and sharing it poses very acute problems. Long passwords are not needed to be memorized and the user cannot refuse to acknowledge it later. It is unique in being negative recognition system as the system decides to debar after deciding whether the claim of a person is valid. However, employing biometric-based authentication gives rise to many technical, social and ethical issues. Poor integration of biometrics can lead to reduced privacy and increase user irritation without enhancing security. Thus, a key to secure biometrics is by using trusted (and trustworthy) components within systems to make specific biometric sensors be and to verify authentication claims back to these original biometric data inputs. The adoption of biometric technologies has led to large-scale adoption of biometric devices that ensure better security. Apart from ensuring enhanced security, these systems transform the way attendance and time management occurs. By using fingerprinting or irises, the members can identify themselves and record their attendance that is collated analyzed by transferring on to a computer system. This can easily produce Attendance Report, Daily Attendance Summary and likes. Organizations needing deeper data Centralized Data Management, Attendance Business Intelligence, Missing Punch Approval System, MIS Dashboards and many more can create this through this system. Satisfying the increased demand for security, access control has become very vital for every organization. Its main objective is, to begin with – protect physical, IP and human assets by restricting unauthorized people from reaching pre-defined areas. Moreover, the machine decided basic questions of who, where and when with adequate flexibility and scalability. 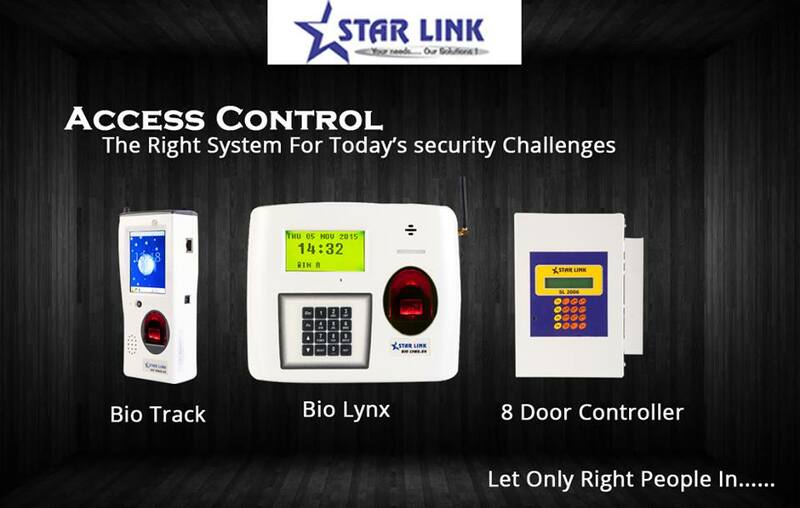 An adaptive, modular, scalable and function-rich Access Control solution designed to meet access control needs of any organization irrespective of its size, locations, layouts, and timings are offered.